Maroon 5 will perform at the Mercedes-Benz Stadium for the 2019 Super Bowl in Atlanta. 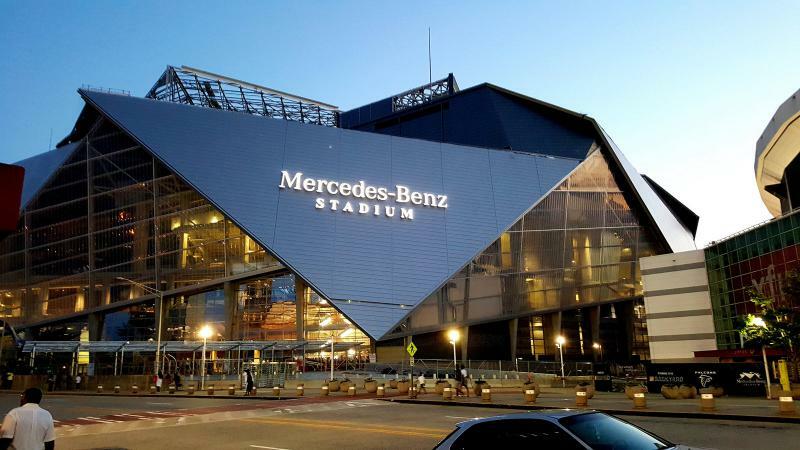 History will take place inside Atlanta's new Mercedes Benz stadium next year when the city hosts Super Bowl 53. We don't know which teams will face off, but the halftime entertainment has already made headlines and several unhappy fans on social media. On Second Thought's Virginia Prescott speaks with Ross Terrell. Next year's performer is L.A.-based Maroon 5, but Twitter users and Atlanta residents weren't too thrilled about the announcement. Some would like to see Atlanta representation on stage. On Second Thought's Virginia Prescott spoke with GPB's Ross Terrell about the backlash, economics, and possible alternatives for the halftime show.